The Karsten Big Tex enjoys four bedrooms, two bathrooms and offers tremendous value for any family. 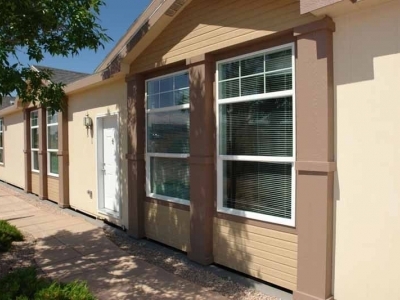 The spacious manufactured home simply maximizes your everyday living area. The living room is smartly integrated into an open floor plan that includes a chef’s dream kitchen complete with breakfast counter, dining room and large windows to infuse the space with natural light. The layout and design make the 2,052 square feet of living space feel incredibly roomy. 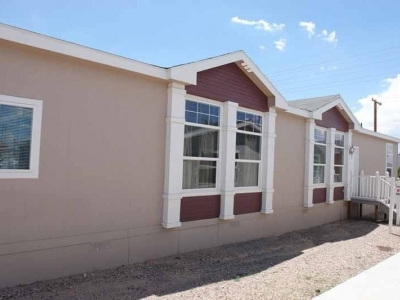 In terms of private space, three of the four bedrooms are set to the right side of the manufactured home. They are conveniently located near a full bath and the family room. 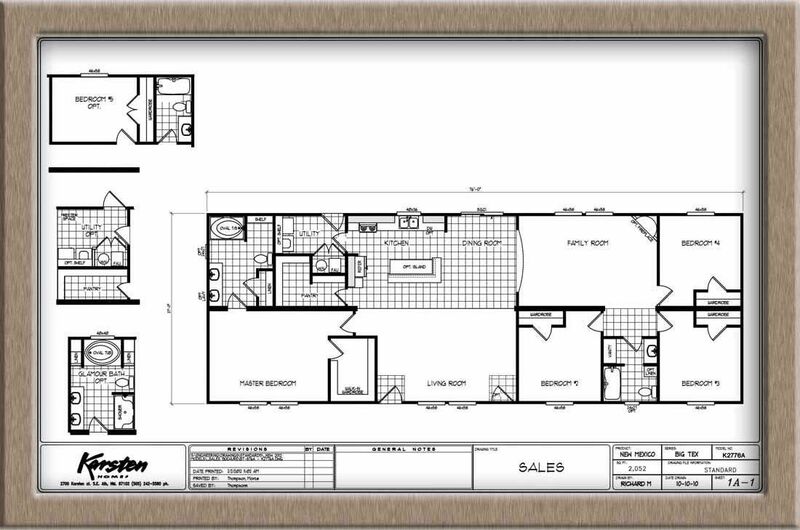 The full-bath enjoys a lengthy counter, vanity area and sliding glass door shower. 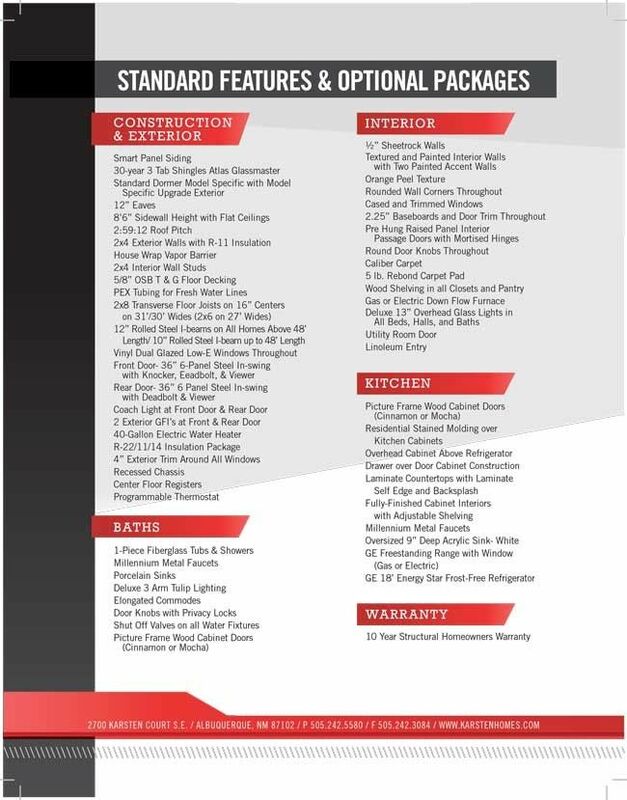 This manufactured home comes with outstanding standard items, but homebuyers will have the option of customizing the space to their unique taste. Located on the opposite side of the home, the master bedroom is a veritable masterpiece. Among the larger spaces in this 26x72-foot home, the master bedroom enjoys a walk-in closet and a welcoming master bathroom. The private bathroom offers a lengthy counter space with a pair of sinks and mirrors, walk-in shower, and a relaxing bathtub. At the end of the day, the Karsten Big Tex ranks among the best values for growing families who want space and comfort.